North India offers you a perfect getaway, where you can bask in the lap of natural beauty and experience the thrill of being so close to controversial boundaries. 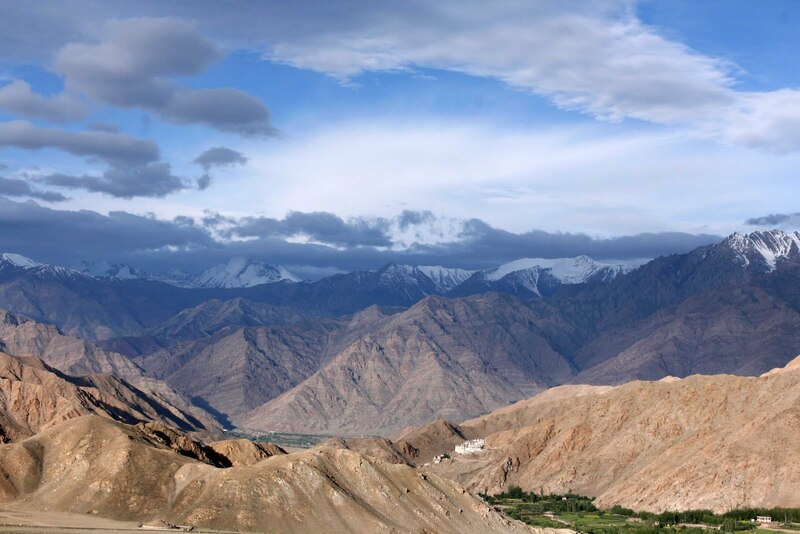 Make the most of a North Indian tour with these three must-visit destinations. Published in Time 'n Style magazine's March-April 2011 issue. 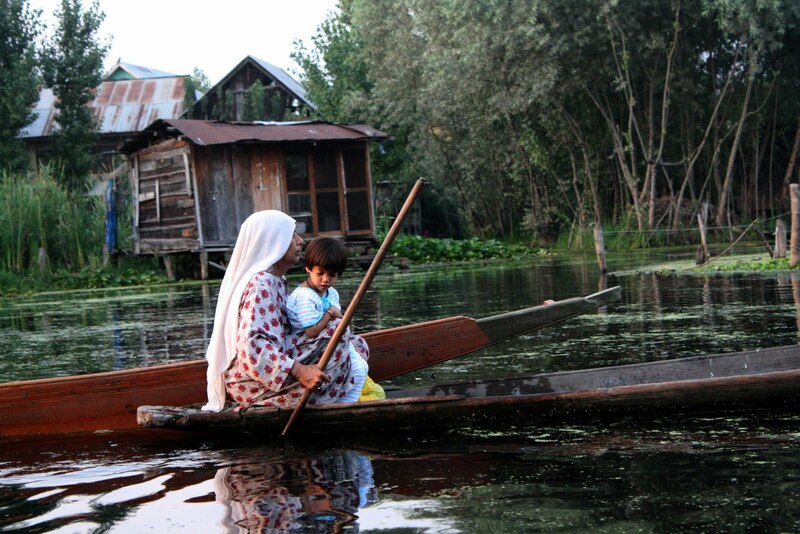 For decades, Kashmir’s breathtaking beauty has been shrouded by the veil of terrorism and militant intrusion. However, it hasn’t kept visitors at bay. On the contrary, the number of tourists that visit Srinagar has only increased, owing to the many films that showcase its beauty, irrespective of its demons. One of the most striking images of Dal Lake is of the beautiful wooden shikaras silently wading through the calm waters. Another reason for its inimitable popularity is the unique experience of staying in a houseboat. Spread over 23 square km, Dal Lake has over 5,000 spectacular houseboats with curious names like ‘Miss America’ and ‘Holly Kiss’! 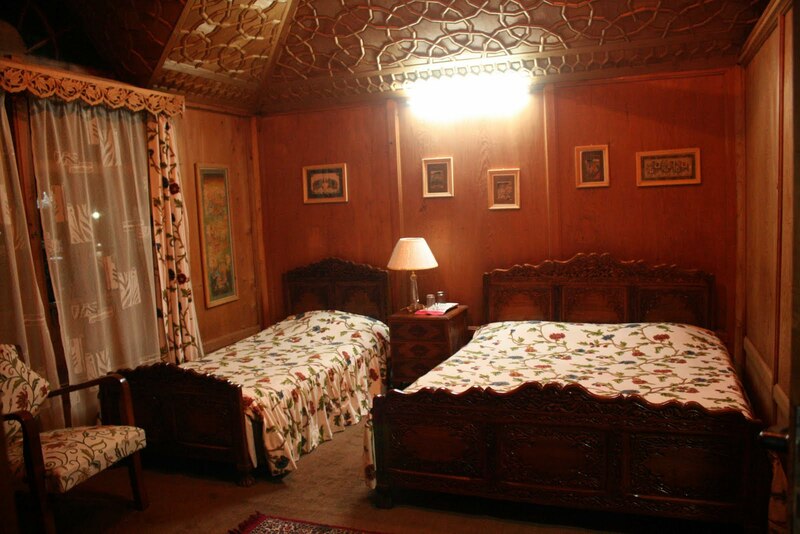 Furnished with intricate wooden carvings and cosy interiors, some rooms even come with opulent bath tubs. 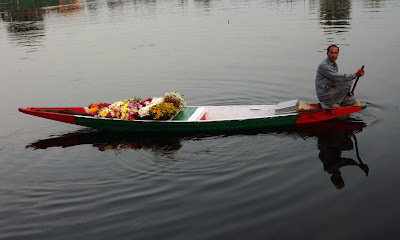 The lake has a flourishing floating market that one can explore while enjoying a relaxing shikara ride. 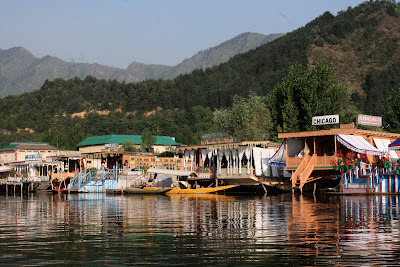 There are a variety of shops every few metres that range from groceries and hardware to readymade garments, fabrics and accessories adorned with traditional Kashmiri embroidery to jewellery and metal, wooden and papier-mâché boxes. What will appease the lazy traveller is that these wares are sold in shikaras as well; they row right up to you, to showcase their wares! 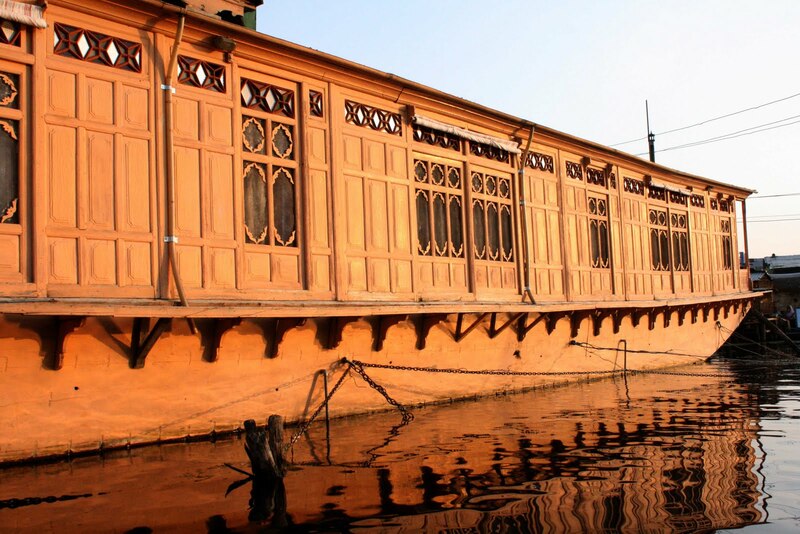 Aside from shops, you’ll also find restaurants, and stalls selling kahwa (a refreshing tea, flavoured with cinnamon, cardamom and saffron), and eatables in the midst of the lake. There is a little papier-mâché factory towards the interior of the lake that sells an incredible papier-mâché products. You can choose from boxes in different sizes, bangles, necklaces, wall-hangings, wind-chimes, bells and other home decor items. 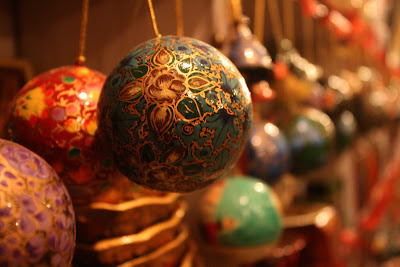 They are all handmade and hand-painted. 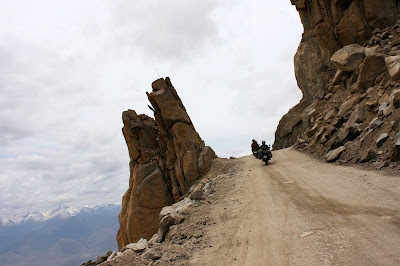 People who have visited Ladakh always say that every traveller worth their salt must visit Ladakh. You wonder what the big deal is. However, once you have seen it for yourself, no ounce of scepticism will remain and you will be stating the same. Diverse landscapes, snow-drenched mountain views and curvaceous roads make for an ideal road trip. Flying isn’t a bad option either, as it passes through some mighty mountains, offering you an unparalleled view. Most visitors stay at Leh, treating it as the prime base from where they can head out to explore nearby places such as Khardung La, Pangong Tso and the Nubra Valley. 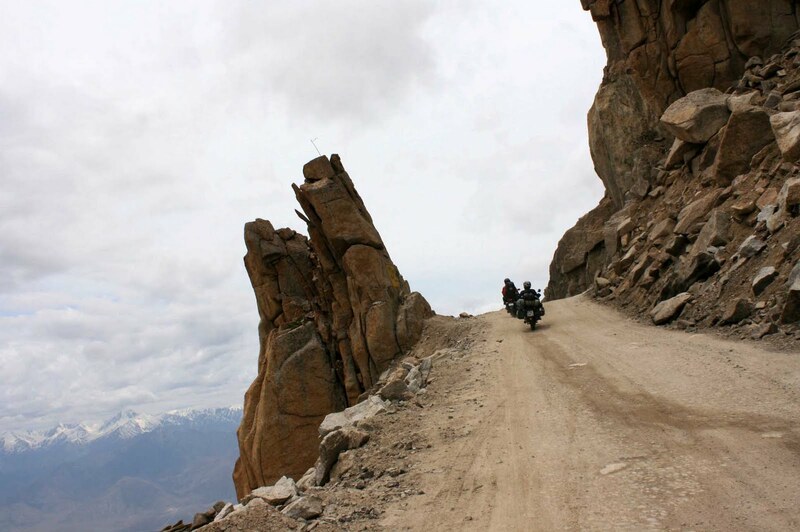 At a whopping 18,380 feet, Khardung La is the highest motorable road in the world. Even though the 39-km stretch up to Khardung La from Leh doesn’t offer a dream-like terrain and is often covered with loose rocks and dirt, it continues to entice travellers worldwide to conquer it. Aside from bikers, the usual suspects, you will also find cyclists from various countries who train for weeks to make this journey. 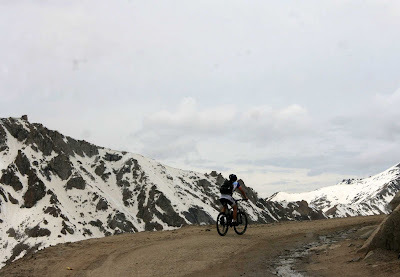 A popular place for photography, Khardung La is surrounded by snow throughout the year. 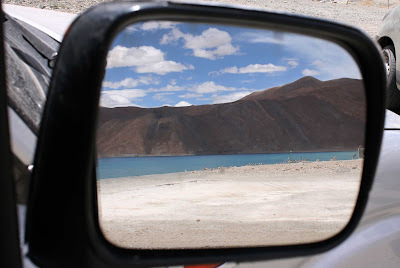 Another landmark in Ladakh is Pangong Tso (meaning lake in Ladakhi), a five-hour drive over the world’s third highest mountain pass, Chang La. At 17,586 feet, this region has tumultuous roads and avalanche scares. 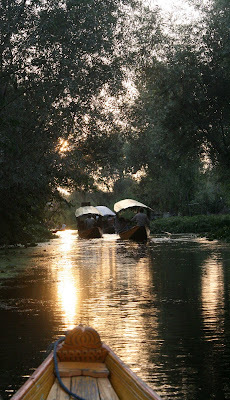 What may seem like a tiring journey is duly compensated for by the lake’s inexplicable beauty. While ducks wade their way through from one side to another, a perfect reflection of the cloudy sky amid barren mountains forms delicately on the water. Through the course of the day, the colour of the water changes to display myriad hues of blue, making it a photographer’s delight. 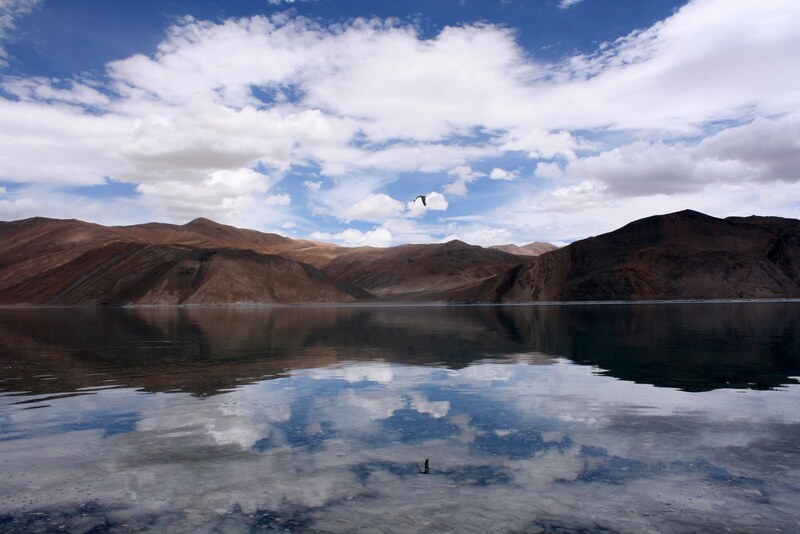 Situated at a height of about 14,270 feet, the lake is 134 km long and extends from India to China. It’s in disputed territory, as the Line of Actual Control passes through the lake and 60 per cent of it lies in China. What’s even more interesting is that during winter, the lake freezes completely, despite having saline water. 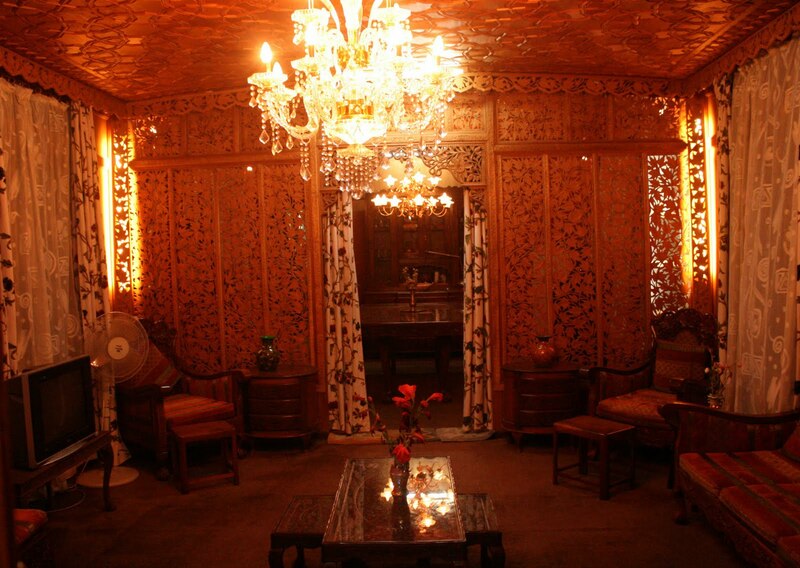 Leh is a foodie’s haven with some intriguing restaurants and bakeries. Pumpernickel Bakery at the main bazaar in Leh town is a must-visit for its delicious apple crumble and chocolate coffee cake. This quaint bakery and cafe produces lip-smacking treats that come at a whopping size and a measly price. 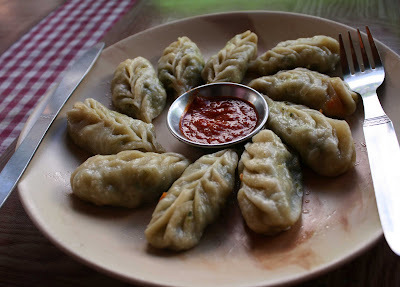 For some unforgettable momos, try Gesmo Restaurant; a cute little place with envious green windows, located at Fort Road. They have a useful notice board that lets you find new places as well join other groups for treks and other expeditions. Restaurants like Summer Harvest and Leh-View are also worth checking out; the former for its Tibetan /Chinese fare with cold beer and the latter for its Kashmiri curries paired with a rooftop terrace. Please note: A permit is required to visit many of the places mentioned above. Ensure to check the details in Leh itself. WelcomHeritage Shambha – La: Decked with Tibetan murals and local artefacts, this glorious resort is located in a grove of poplar trees. Neat and snugly, all 14 rooms here are centrally-heated. 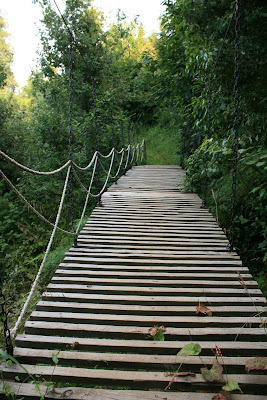 They organise trekking and camping activities as per your requirements. 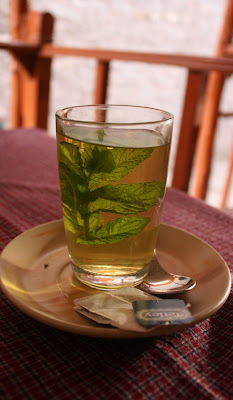 For more, visit www.welcomheritagehotels.com. Too often in our lives, we harbour a desire to escape to a place where we’re unreachable, but we rarely find a place like that. Kanatal is one such place. Tucked away in a little corner of the glorious Himalayan range, it is a rather nondescript hill station in the state of Uttarakhand. The scarcity of signboards that lead here provide ample proof of its obscurity. Relatively untouched by the hands of commercialism, Kanatal allows you to revel in its natural grandeur without the flurry of tourists and bevy of polluting vehicles. 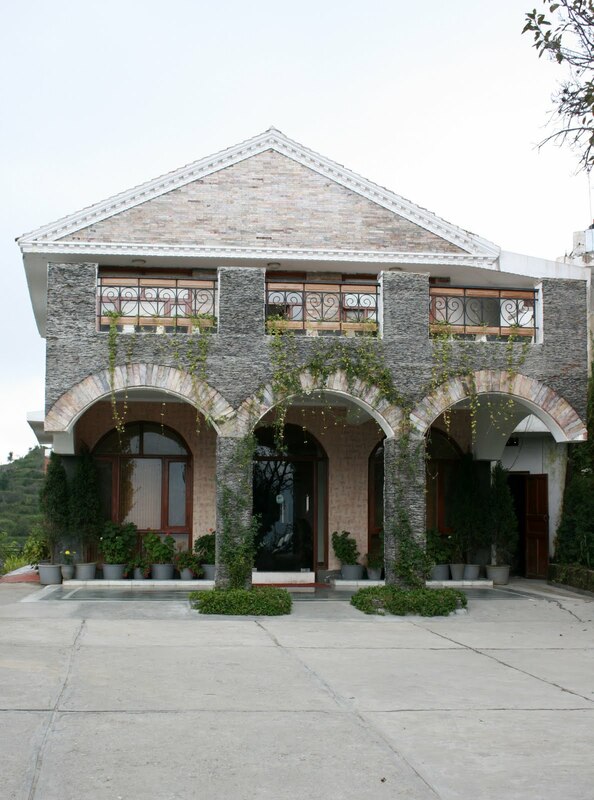 It is ideal to discover this verdant hill station on foot. 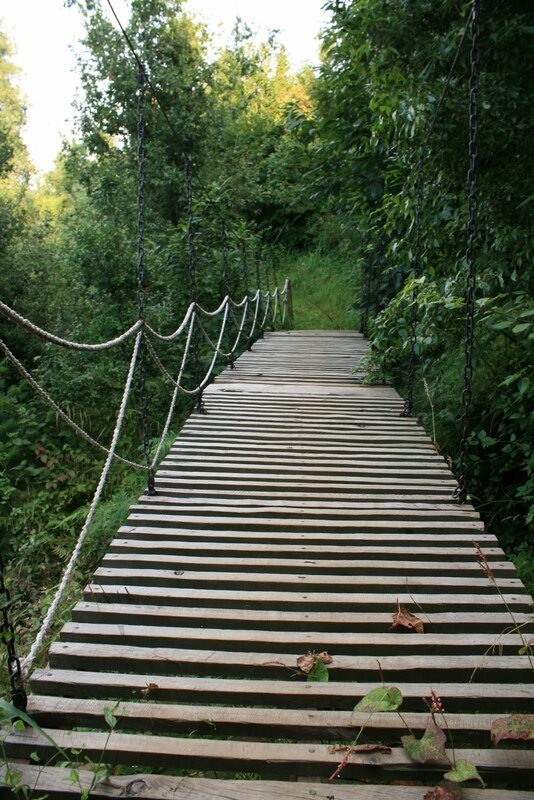 Walks and treks are common here, as they enable you to appreciate nature’s bounty at leisure. You are sure to find plenty of apple orchards and pear trees, together with wild flowers and pine cones that are strewn all over. You can also explore the many temples situated here. Springtime sees the flowers in full bloom, whereas winter sees heavy snowfall, covering the place with a pristine white blanket. 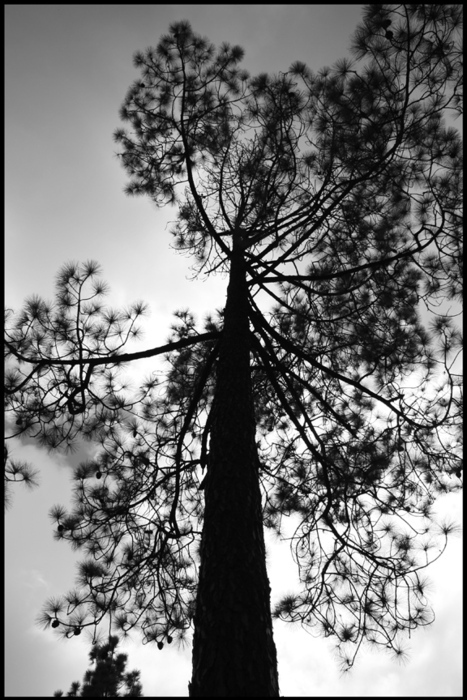 One of the many rewards Kanatal bestows upon the wandering traveller is the gift of silence. The laid-back feel of this idyllic destination provides a spread of calm and much-needed relaxation. Taking a walk amid rows of trees, gazing at clouds passing by for hours on end, imbibing the sounds of nature or sipping on a cup of tea, sometimes you need to rediscover the joy of the little things in life. 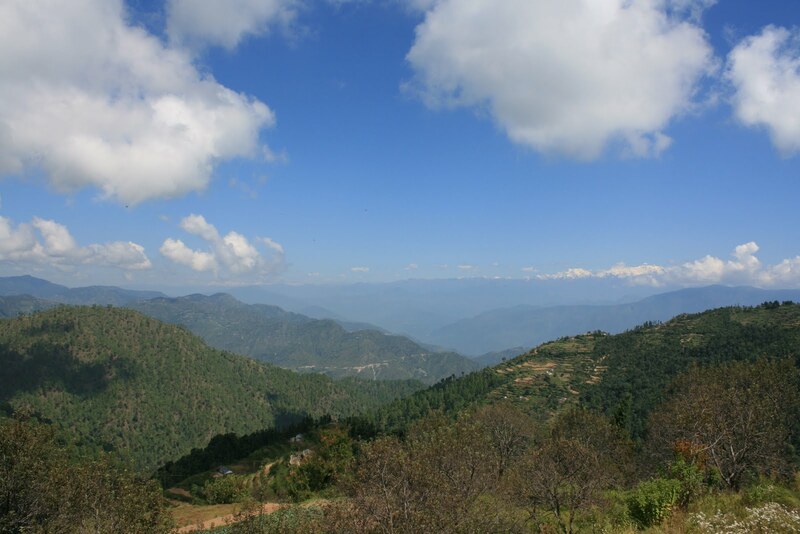 Kanatal is certainly not an extraordinary destination; it is a simple place with an extraordinary impact. The Terraces: This castle-like resort is one of the best in Kanatal. Its spacious rooms, luxurious service, friendly staff and spectacular mountain views offer true value for money. For more, visit www.theterraces.biz. very informative content and i enjoyed reading your blog keep it up. I think Kanatal Is a Best Place To Enjoy There No words To say.